Prepare your wallet, as another exciting K Beauty collaboration is about to come our way! 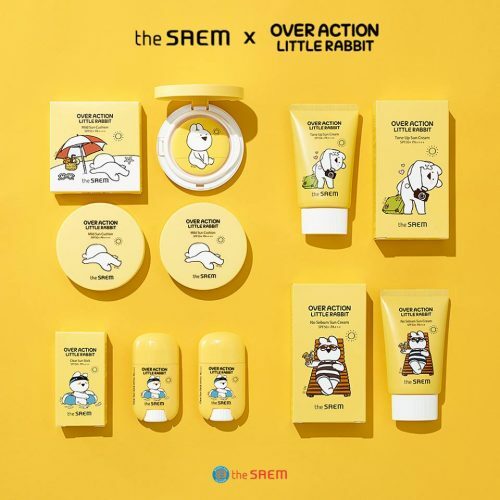 Korean cosmetics brand the SAEM, known for its practical and affordable makeup and skincare products, has just launched a capsule collection featuring a popular LINE character – Over Action Rabbit! 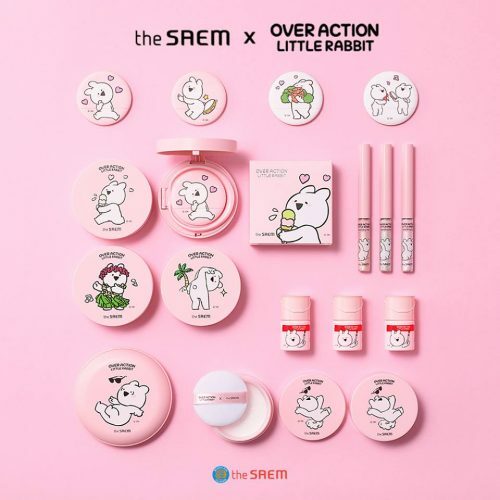 Available on The SAEM webstore, the super kawaii collection offers loose powder, cushion foundation, lip tints, eyeshadow sticks, sunblock and many more in eye-catching packaging! You can get your hands of these adorable makeups by ordering from thesaemcosmetic.com. We will take care of the shipping from our Korea warehouse straight to your door. Sign up now!